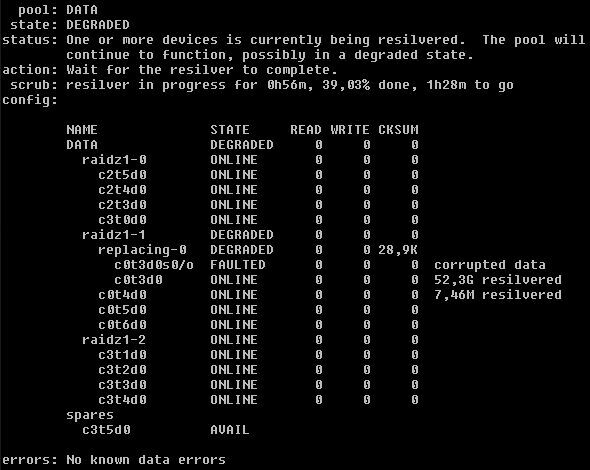 degraded as I did not have any hot spare free to rebuild the raid. off and opened the server, and checked every cable thouroughly. changed one. Then booted the OS in single user mode. been rebuilt, and was back in normal mode with no faults. and so on would be a nightmare. This entry was posted on 07/28/2011 at 20:50 and is filed under Uncategorized. You can follow any responses to this entry through the RSS 2.0 feed. You can leave a response, or trackback from your own site. You managing to save this is God’s way of telling you that it is ok to rip.